Areas of Focus: Investigation, mapping, and excavation of ancient pre-Inca structures close to the Pikillaqta National Monument, and at the Sacsayhuaman Archaeological Park. Volunteering with Projects Abroad on the Incan & Wari Archaeology Project in Peru is a great choice if you are interested in developing your practical skills in the field of archaeology and gaining a deeper understanding of the history of the Inca civilization. While living and working in a Peruvian community, you can gain hands-on experience in a range of archaeological and historical work. When the Spanish conquistadors arrived in Peru in the 16th Century, the land had been ruled for roughly two centuries by the Inca people. During their rule the Incas gained control of an area about one million square kilometers in size, ranging from Colombia to central Chile. The vast Inca Empire had its administrative, political, and military centre in the city of Cuzco. The year 1533 saw an end to the Inca Empire when the Spanish captured Cuzco. Despite years of Spanish rule, Peru has managed to retain a rich Incan legacy which can be seen throughout the country. The majestic ruins of Machu Picchu and the Inca capital city of Cuzco are among the most fascinating Inca sites. Our Incan & Wari Archaeology Project is based near the town of Lucre, which is a 40 minute journey from Cuzco’s city centre. The town itself is in the Lucre Valley and the work we undertake here focuses on archaeology. You do not need previous experience to participate and this project is suitable for students on a gap year or school break, careers breakers, or anyone looking for a worthwhile and adventurous way to spend a vacation. Preliminary investigations: Before beginning work at any site, there is a lot of preliminary work that needs to be done, including registering Inca and pre-Inca tombs, burial chambers, buildings, Inca trails, water channels, terrace systems, petroglyphs, and access routes. This is done using scales, photographs, GPS, and making physical maps of the structures and forms. 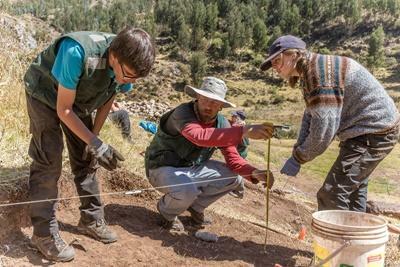 Excavations: Volunteers and staff work at six excavation sites close to the National Monument of Pikillaqta, a pre-Inca site dating from the Wari civilization. Analysis and registration of cultural material: This involves cleaning and codifying evidence, analysis and classification of cultural material, drawing and registering evidence. Site visits: Depending on the time of year, you visit archaeological sites in the Cuzco region once or twice a week. During these visits, you will have the opportunity to ask questions and discuss different aspects of these sites with a project archaeologist. Site visits take place year-round. Office registry work: Once a week, you will work in the office and focus on transferring all weekly registration works onto a computer to help prepare reports. These reports are presented to the Peruvian Ministry of Culture. Spending time in the office also gives staff and volunteers the opportunity to plan activities for the next week and discuss any problems encountered during the previous week. Working at museums: Every Monday, you will assist local museums with translations and codifying objects. Archaeology presentations: Every week volunteers attend a presentation related to the Archaeology Project. Topics are varied and could include: Machu Picchu, Inca architecture, Andean construction techniques, and Ancient Andean Beliefs. The project archaeologist will be on hand to answer any questions that you may have regarding the presentation. Classification of ceramics: At the office, you will get involved with measuring, cleaning, classifying, and describing ceramics. Community activities: Our volunteers do a lot of work at a small elementary school in Huacarpay, in the Lucre Valley. Activities include clearing pathways and making the playground safe, painting classrooms and school furniture, and preparing educational materials for the teachers and students. On the Incan and Wari Archaeology Project, the work you do will depend on the time of the year, as wet and dry conditions determine what is possible. Mondays to Wednesdays will be spent on-site at at Pikillaqta National Park, and Thursdays at Sacsayhuaman Archaeological Park. Volunteers and staff will depart to the work sites and return to Cusco together at the end of the working day. You will be involved with preparation work for excavation sites, as well as site maintenance. 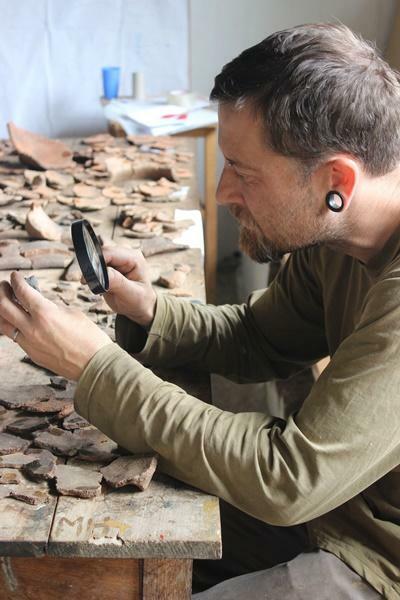 Please note that if you are volunteering during Peru's wet season (November to March), you may end up doing indoor archaeological activities such as registry works with Inca and pre-Inca ceramic and bone artefacts. In addition to the archaeology work, volunteers also participate in a variety of weekly community-based activities. In 2011, Projects Abroad did a full diagnostic of the whole district and we now use this information in conjunction with the local and regional authorities to target areas in particular need and develop programs. By getting involved in these activities, you will help make a positive impact on the local community. Once a month, you will take part in community work in the Huacarpay and Lucre regions, between March-June and September-December. Archaeology workshops will be held on Wednesday mornings, and Inca and Wari presentations on Wednesday afternoons. Fridays are half days, where you will either visit a local museum or an archaeological site. There will be weekly social events held every Wednesday afternoon for all Projects Abroad volunteers, where you will get to meet and socialize with other volunteers, and take part in fun activities like salsa dancing, an open top bus tour of Cuzco, cookery classes, and city walks. A monthly archaeology event will also be held on the last Thursday of every month, where you can go hiking, attend pottery lessons, visit archaeological centres, or view cave paintings, carved boulders, and tombs. The Incan & Wari Archaeology Project in Peru is available for less than a month if you don't have time to join us for a month or more. This project has been selected by our local colleagues as being suitable for shorter durations for both the host community and the volunteer. Although you will gain valuable cultural insight and work intensely within the local community please be aware that you may not be able to make the same impact as someone participating for a longer period. If you have qualifications or experience in this field then we can make use of your skills volunteering abroad as a professional in Peru . If you are a high school student and first-time traveler you may want to consider our High School Special programs in Peru.